Dark Armada, a Star Trek fan production, is one of the few semi-professional science-fiction film productions in The Netherlands. Please subscribe to our newsletter for all the latest updates, previews and releases! After over a decade of making Dark Armada, a Star Trek fan production, our journey has finally come to an end. Watch the final episode of Dark Armada here! After producing episodes for over 10 years Star Trek Dark Armada will come to an end. Our upcoming episode "Out of Time" will be our final episode. But... it doesn't end there. As of today you can subscribe to our newsletter so you'll be the first to get all the updates, previews and releases from Star Trek Dark Armada! Yesterday the news reached us about CBS and Paramount launching legal action against Axanar, a crowdfunded fan production. This is why I, as the executive producer of Star Trek Dark Armada, feel the need to explain the differences between Axanar and our production and that we in no way support or approve of the actions taken by Axanar or their producer Alec Peters. Here's some artwork celebrating 10 years of Star Trek Dark Armada! 10 years ago we started working on something that seemed impossible to make. Check out the new vignette for Star Trek Dark Armada titled "Almost Time". And don't forget to watch the end credits for some sneak peeks to our upcoming episode "Out Of Time". Thanks for watching! 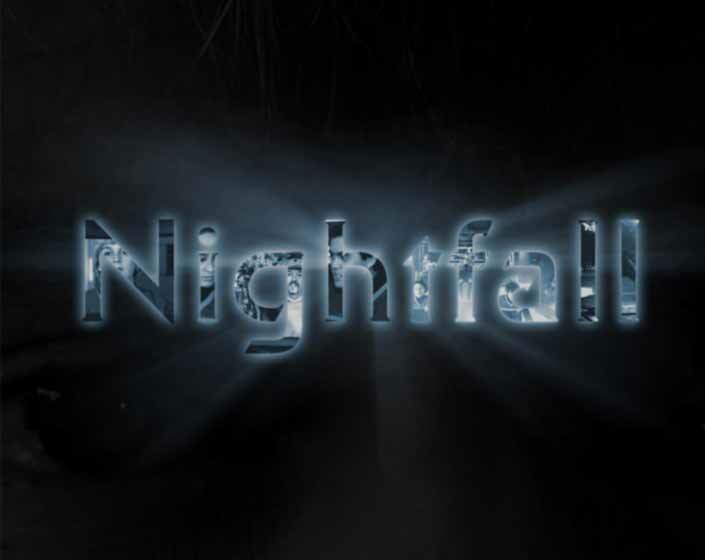 On April the 28th, we have released our latest episode: Nightfall. It started production in 2006/2007 and it was a very complex project. But it's finally here! Our goal is to gain more experience in film making, to keep reaching a higher level and to continue producing these episodes with the quality and passion you've come to expect from us. And of course to keep Trekkin'! Based upon the American television series "Star Trek", fan episodes of Dark Armada are published on the internet as a free stream or download. The cast and crew of Fan Trek Productions consist of volunteers with a passion for film making and an appreciation for the television series. Payment for these episodes isn't allowed in any form due to copyright issues, so no profit can be made. The production is funded by our own team members without any external financial support. This episode was intended to be a 'test episodes' rather than an actual episode for the series. It was a test to see what it would take to make a short episode using green screen/keying technology and what improvement would have to be made to master this technique. Richardson and Katina find the U.S.S. Batavia at drift in space as they return from a shuttle mission. The crew seems to have disappeared.. In "Choices, part one" the crew of the Batavia discovers a situation with planet Y'nok that took place in the past. How is this related to the current volatile situation? While Batavia's Warp drive is disabled, Ensigns Belissa and Robberts are on their way to the colonist in distress. What will they discover and what will the Batavia find when she eventually catches up? When Lt. Thompson thinks that he is up for a promotion, he has to lead a rescue mission. The event "Elf Fantasy Fair" asked us for a film making workshop. With five attendees, we shot and edited the episode in a tent within eight hours. This vignette was made using 'old' footage from 2007. The scenes were deleted from a later version of the script for the episode titled "Nightfall". The vignette was released before "Nightfall" as a bit of a preview what's to come. The crew of the Batavia goes down to Cententa III for a well deserved vacation when they're suddenly disturbed by a distress call from Admiral Taylor. Someone is investigating Captain Alexander Richardson. With the threat of the Dark Armada moving towards Federation space Richardson decides to investigate altering the time line. Agents from Temporal Investigations learn of this and gather evidence in an attempt to prevent any alterations..
You should watch Dark Armada! Want to get in touch with Dark Armada? Leave a message through our social media channels or send us an e-mail below. Copyright © Fan Trek Productions 2006-2019. All Rights Reserved.